﻿ Why Rani Mukerji chose to play a disabled in her comeback film? Why Rani Mukerji chose to play a disabled in her comeback film? Rani Mukerji, who was last seen doing some kickass action in Mardaani, is all geared up for her big comeback. Yes, you heard that right! 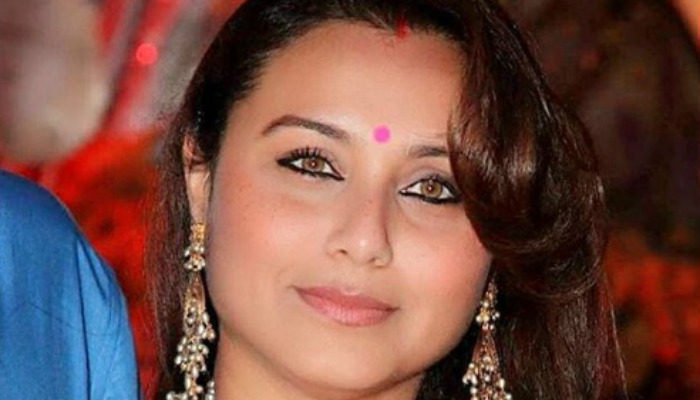 Rani will be seen playing the lead role in YRF’s upcoming film. The actress was on a maternity break after giving birth to daughter Adira and now that her little girl is over a year old, Rani is all game for her big comeback. Initially, Emraan Hashmi was to produce the film and also act in it. However, for some reason, he let go of the project and turned producer with another film. Siddharth approached Abhishek Bachchan next, but he kept dilly-dallying. And now, it is being produced by YRF with Rani as the central character. Also read: Photos: Rani Mukerji and hubby Aditya Chopra dine together. Pay attention! The film revolved around a guy who has a disability wherein he uncontrollably jumped and shouted while talking. That’s why Emraan and Abhishek had shown interest. When Siddharth took the film to YRF, both Aditya Chopra and Rani liked the script. Adi agreed to produce the film, but asked Siddharth to change the protagonist — turn the hero into a heroine. That’s how Rani came into the picture. Well, it will be interesting to see the actress play such a challenging character on the silver screen. In fact, Rani Mukerji has earlier played the role of a dumb and blind girl in Sanjay Leela Bhansali’s Black—a performance which won her numerous accolades.